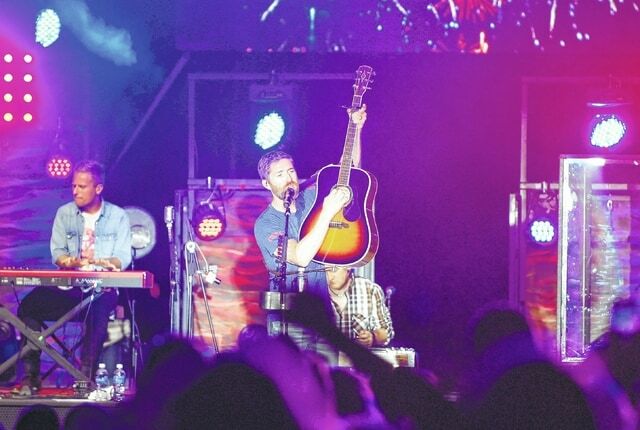 Country music recording artist Josh Turner performs at the grandstand Friday night at the Champaign County Fair. The main attraction at the concert began just after 9:30 p.m. Ticket holders waited in a long line to enter the venue, which was scheduled to begin at 8 p.m. Drew Baldridge performed on stage before Turner. https://www.urbanacitizen.com/wp-content/uploads/sites/36/2015/08/web1_josh-turner.jpgCountry music recording artist Josh Turner performs at the grandstand Friday night at the Champaign County Fair. The main attraction at the concert began just after 9:30 p.m. Ticket holders waited in a long line to enter the venue, which was scheduled to begin at 8 p.m. Drew Baldridge performed on stage before Turner.